“Mega” platforms like Facebook, Google, Amazon, Apple, Microsoft, Instagram, and others all rely on the network effect. As people start using them and sharing them more often to communicate, they become a pervasive part of our personal lives. Most of us use at least a couple of mega cloud platforms to interact with our friends, family, and colleagues. Once a mega platform becomes an indispensable tool for communicating with your family and friends, it’s only natural that you may want to use it to communicate and transact with your customers, suppliers and partners as well. 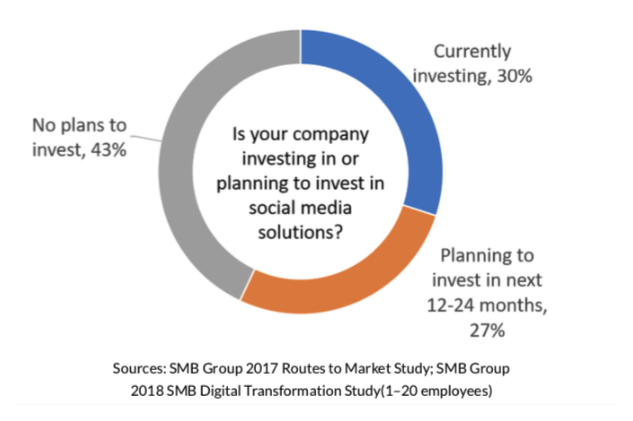 Many small businesses already rely on mega platforms such as Gmail and numerous social media channels—and plan to invest in more. So, why should you need to leave these applications to send an invoice, file an expense report or conduct other transactions? You should be able to decide where and how you want to get work done. If you prefer to use Gmail or Facebook Messenger to create and send an invoice, you should be able to do so and have it sync back to your business applications. Intuit has integrated QuickBooks with G Suite, enabling QuickBooks users to send an invoice directly from their Gmail account or pull their time- tracking data from Google Calendar into QuickBooks. Small business preferences for mega platforms will change over time and will differ by country and region. Intuit’s strategy is to “follow the customer” and provide integrations to the mega platforms where small businesses spend the most time—now and in the future. What mega platforms or social media workflows work best for you? Let us know below in the comments! Thanks for sharing the article. Keep update more article like this.